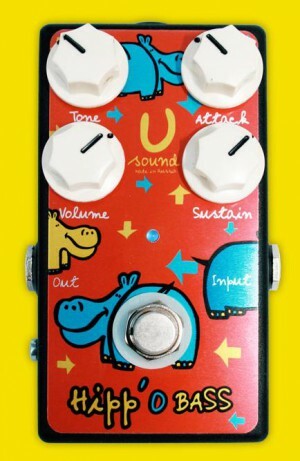 This "Hippo Bass" is a modified version of the compressor "Hipp'O Comp", which, in turn, is basically a clone of the original gray Ross Compressor, with added Attack, and Tone controls. The main difference - is the use of chip BA6110. The BA6110 chip gives more sustain, more squish, lower noise, and a high output than the old CA3080A chips found in Ross, MXR and other compressors. With all of the extra controls, the versatility is astounding on this circuit. It can go from squishier to a Ross, to more transparent than a DynaComp, to just a touch of compression, to a straight clean, transparent boost. Power: 9 V battery or 9Volt, negative center pin power supply. Do not use any switching power supply! Terms of manufacturing is discussed individually. 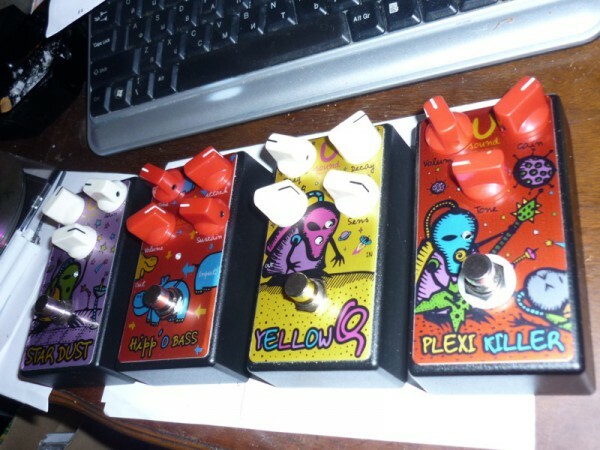 If you would like to assist in the creation of new models of pedals - I'm grateful in advance for that support.